Antigua was settled by human rubbish from Europe, who used enslaved but noble and exalted human beings from Africa (all masters of every stripe are rubbish, and all slaves of every stripe are noble and exalted; there can be no question about this) to satisfy their desire for wealth and power, to feel better about their own miserable existence, so that they could be less lonely and empty – a European disease … Of course, the whole thing is, once you cease to be a master … you are no longer human rubbish, you are just a human being, and all the things that adds up to. So, too, with the slaves. 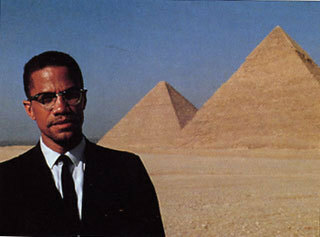 Once they are no longer slaves, once they are free, they are no longer noble and exalted; they are just human beings. 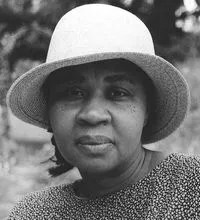 Jamaica Kincaid suggests that abolition and emancipation are bitter-sweet affairs. For the enslaved, freedom furnishes them with a human being that nevertheless awaits a meaningful personhood. Out of slavery the master fares better, redeeming his human being from being human rubbish. Kincaid’s suggestion is insightful. After all, abolition had a vibrant nineteenth century afterlife. White abolitionists enthusiastically allowed their humanitarianism to colonize Africa so that God’s chosen could sanctify themselves through the act of saving the natives from their selves. Meanwhile, William Wilberforce et al, convinced that slaves were human biologically yet lacked the social and cultural competencies of humanity, looked on fascinated at the experiment of self-government in Haiti. From this point onwards all future failings would be attributed to the epidermis, not the colonial relation. Presently, argues Kincaid, the landscapes of the old Caribbean plantations have been consumed by a white tourist gaze that has once again disavowed the living legacies of enslavement and colonization and denied meaningful personhood to its peoples. What remains of these places and peoples is only an “unreal”, picture-book beauty. What are our narratives of race and racism? Whom do we follow in order to tell the tale: the masters or the enslaved – the humanitarians or the “sufferers”? Which tale confesses the episteme –the scientifically valid study – of race? The 1950-51 UNESCO “statements on race” answered such questions in favour of the master’s narrative. Announcing a new era in human understanding after the terrors of war and irrationalities of genocide, the main purpose of the statements was to separate the “biological fact” of race from its “social myth”. The biological fact in and of itself was rendered harmless, pertaining only to “physical and physiological” classifications. Thus genetic inheritance, it was affirmed, could have no bearing on mental or cultural competencies and capabilities. Conversely, the social myth of race was considered extremely dangerous in that it rendered cultural difference as biological thus sundering the “unity of mankind”. This myth had to be dispensed with; hence ethnicity – as a social/cultural classifier – was proposed as a preferable classificatory regime to that of race. Ethnicity, after all, had not been tainted with supremacist hierarchy and could signify instead non-hierarchical diversity. Although the scientists who collectively produced the statements on race were by no means all white, the majority hailed from Western academies. And the particular kind of anti-racism evident in UNESCO’s statements had already been formulated by famous Western anthropologists such as Franz Boas. They had sought to undermine scientific racism on its own grounds, i.e. by proving the un-scientific nature of the social myth of race. And this endeavour required debunking racialized identity – that which confessed their legal and natural inequality – as myth not fact. However, as part of this manoeuvre these identities had to be subsumed under a harmless social science of ethnic categorization. While this move redeemed white identities, it de-politicized the meanings of the sufferers’ cultural complexes and complexions, extricated them from inherited hierarchies of power, and thus segregated them from the inherited and living struggles against (post-/neo-)masters. In short, as Alana Lentin puts it, the effect of the statements was to separate race from politics. But I would like to add to this point a further provocation: that the episteme of race announced by UNESCO allowed little room for the ongoing story of the sufferers and their epistemic and practical strategies for meaningful re-humanization and reclamation of personhoods. Instead, the UNESCO research agenda on race and racism first and foremost promoted a science that enabled the master to sweep away his rubbish and redeem his humanity. Care should be taken in assuming that the 1950-51 statements were primarily focused upon scientific racism and the Shoah. Just as important was the fact that the colonial subjects of European empires had paid the blood-sacrifice for keeping Europe free of Nazism, as had African-American troops, and yet racialized rule had survived the end of the war at home and abroad. While no nation post-war could dispute the judgement upon Nazism, it was a different matter with European colonialism and Jim Crow. Hence, prudence dictated that the living and ongoing struggles against racial rule would not appear in the 1950-51 statements. But this modus vivendi was broken in 1967 when certain newly independent states entering into the UN system, and buoyed by the global ideological confluence of liberation struggle, Black Power, and civil rights, impelled UNESCO to revisit the race question. The fourth UNESCO statement on race once more denied any biological origin to the social problem of race. However, this time the seedbed of racial discrimination was traced explicitly to the global legacies of slavery and colonial rule, as well as to anti-Semitism. Moreover, the 1967 statement acknowledged anti-colonial struggles to be the mechanism for “eliminating the scourge of racism” while also decrying the way in which “ethnic groups” inhabiting western countries were pressured to give up their cultural identity in order to assimilate. While the term “ethnicity” was still used, the interlocutory intent of the 1967 statement was far less to redeem the master’s humanity from his past crimes, and much more to valorise the sufferers’ ongoing struggles for re-humanization and re-personalization (often against the same master cultures and societies). Therefore, unlike its earlier articulations, the 1967 statement acknowledged that racialization had never been a passive project, a technology that moulded a blank object. And in this respect, the hermeneutic of the 1967 statement allows for a number of considerations to enter the research agenda that were excluded from the 1950-51 statements. In order to flesh out these considerations I confess to using a particular departure point (as will already be evident), namely, the legacies of the struggles against enslavement by Africans in the Americas. Colonialism never moved into blank spaces, and slavery never, phenomenologically speaking, created slaves – i.e. empty bodies. Concomitantly, the master has never been the only scientist; the sufferers have always had their own sciences, despite the fact that sometimes they have also practiced the science of the master at a professional level. Moreover, I do not say any of this romantically; I do not attribute a natural nobility or goodness to the very diverse and often clashing sciences of the sufferers. But sciences they nevertheless had, and have. Sciences that keep particular parts of their stories, being and practices unspoken, hidden and camouflaged from the master even as he dominates (or evacuates) their meanings in the public sphere; and sciences that allow the brunt of racial rule to be at least partially transmogrified into a creative force wherein identification processes mobilize the European constructs of race in order to redeem extant personhoods and cultural complexes and complexions under the sign, precisely, of race. Occasionally, these sciences reveal themselves in the public spaces of the master through visible insurrections that are aesthetic at the same time as they are directly political. The master’s science can only conjure slaves or incompetent humans; yet even the master’s bards can occasionally sense that there is something at work other than brute resistance. Witness, for example, Wordsworth’s sonnet to Toussaint L’Ouverture, one of the famed leaders of the Haitian Revolution: “Thou hast left behind Powers that will work for thee; air, earth, and skies; there’s not a breathing of the common wind that will forget thee; thou hast great allies”. But most importantly, the sciences of the sufferers require us to consider that there might be, in the words of Artwell Cain, not just one “blackness” – the tool of the master – but also a blackness other-wise, one that “seeks to reconstruct through knowledge of self an individual and a collective identification with others carrying similar markers while fostering a sense of togetherness geared at liberating humanity”. This other science of blackness is not important just for its nobility and heroism, but far more so for its hermeneutics and their attendant cognitive, aesthetic and political practices. True, the fourth UNESCO statement on race marks the zenith of the Third World project before its political defeat in the 1970s. Nevertheless, the sciences of the sufferers that ultimately supported this project have genealogies that prefigure, pre-empt and succeed temporal defeat. And yet, all the same, these sciences still tend to be disavowed, excluded or re-forgotten in the Western Academy’s research agenda on race. In keeping with the 1950-51 UNESCO statements on race, the current agenda is predominantly framed through two key thematic of contestation: the separation of the biological and social facts of race (re-animated recently due to the science of bio-engineering), and the horizontalization/de-politicization of race into ethnicity. In philosophies of race the two thematic contestations are much more likely to interact, while the majority of critical work in the humanities and social sciences has engaged primarily with the second. With especial regards to this work, I suggest that there remains a consistent implied preference for the master’s science to set the epistemic grounds of debate, propelled, moreover, by a particular anti-racism that is obsessed with the question as to whether the master can clean up his own rubbish and make good. And this preference is structural, not individual. When does whiteness studies become yet another narcissistic mirror for the priviliged? Take, for instance, the case of critical race studies, which has recently been flooded with “whiteness studies”. Initially designed as a political intervention to abolish white privilege such studies now tend to fixate whiteness as the dominant cultural complex and complexion to be explored. Or consider how poststructural and postcolonial approaches – genealogies in general – have increasingly interrogated colonial rule and liberation struggles through the hollowed-out post-humanist subject of the subaltern, conceived as an effect or trace of the master’s power. It is important to acknowledge that historical materialist scholarship has consistently thrown up exceptions to these preferences; however, in their key bastions historical materialist scholars remain unwilling to rethink the Eurocentric points of departure that allow for provincial assumptions as to the causal relationship between capitalism, colonialism and race. I acknowledge that, in and of themselves, all these approaches and investigations are necessary and valuable, both intellectually and politically. Indeed, my argument is in part dependent upon them, although I qualify this dependence with another acknowledgement that these resources can also be mined with the sciences of the sufferers. But, to return to the considerations made by Jamaica Kincaid at the start of this blog post, my main point is this: that this research agenda is dominated by one story – what the master does unto the sufferers – and addressed to one politics – can the master redeem the detritus of his humanity? What of the sufferers and their stories and politics? Are they merely fragments of raw data? Or do they have an epistemic part to play in the research agenda on race and racism? In blog time it’s of course scandalous that this comment arrives more than three months after your post, but the way I see it, this will be a lifelong discussion anyway (I should also admit that it was upon seeing Alana Lentin’s name in a conference program – CES Amsterdam – that I remembered that I ought to spend some quality time with your post –and also your article in the CRIA special issue). First, I think you’re right to say that critical race theory as well as assorted post and Marxist perspectives have had difficulties access voices and knowledge of the victims, and I would certainly be interested to hear more about what specific studies exemplify this trends best. The need “to show” the agency of the victim has been a long-standing topic in the scholarship on the dark sides of humanity. Writing about the Holocaust, Lawrence Langer, Saul Friedlaender and others have argued that “deep memories” must made part and parcel of all historiography, rather than assembled in one of those ‘victims speak’ volumes, useful as these are. Feminists have made similar arguments, inviting epistemological reflections on the nature of knowledge since it suggests that empathy, trauma, affect etc. ought to count as much as the nominally external or neutralist standpoints. This ‘science of the sufferers’ is important also – or mainly – because it opens space for change in current aesthetic, ethical and political practices as you note following Gikandi. Will you be now putting together a review of this alternative science on race and what it has done or what it can do for the politics of race? Grovogui’s 2006 book is quite simply excellent, but much more ought to be said on the subject. I would love to see you write that paper – or a book! Second, the story of the UNESCO statements shows the full ramifications of the shift from race to ethnicity. There are good historical reasons why the 1950-51 statements could not have been more emancipatory even if the committee actually tried. The politics that went into them was exhausted in battles, both at the committee level and in the wider epistemic community, between ‘activists’ who wanted to declare human equality as a biological fact (you refer to Montagu, but Brazil’s Ramos was even more gung-ho on this) and ‘objectivists’ who saw such statements as wishful given available evidence at the time. The second statement was basically a concession to the latter, and can be regarded as reactionary since it dropped the clause on biological equality (haven’t read the Selcer piece yet, so I am getting this history from the earlier work by M. Banton and E. Barkan). Also important is the fact that the ideas put forward by many scientific antiracists activists from this era then would now probably be considered racists. Next, if textbooks are right, ethnicity indeed emerged in the 1930 (Julian Huxley, UNESCO’s director who helped put together a committee that led to statements, was among the first to argue for substituting race-talk with the concept of ethnicity). When this new word was introduced, it referred to cultural affiliations over biology and its political goal was to move social and political thought towards the idea of human unity. But not only did this move fail, ethnicity also never won over race; indeed, they now go hand-in-hand in so many places. This could be because race is a legal concept in so many places, not to mention part and parcel of social practices such that it’s etched into ordinary language or habits. As Victoria Hattam argues, in most contexts once can’t even think of ethnicity without simultaneously thinking of race as well, which is a hypothesis that would be borne out by psych research (if someone were to actually undertake it). If this is correct, ethnicizing politics & societies probably STILL involves elements of racialization that would not be unfamiliar within nineteenth century categorizations of human beings. All those studies of whiteness, after all, show how ethnicity worked not only to horizontalize and de-politicize race as you note, but it actually succeeded in re-politicizing racialized identity by drawing a further (and sometimes deeper) line of separation between European groups on one hand and people of colour on the other hand. Montagu can be regarded as the father of eliminitivism or rather substitutionism in race theory, but I think this philosophical and political stance is misdirected (for reasons I explain in my CRIA piece). You’re also right to say that the 1967 statement on race was qualitatively different and perhaps revolutionary, but do note that UNESCO continued to publish editions of its original statements well into the 1970s. The race question was revisited, but only partially and it shows how “new information” on any subject does not readily turn into new meaning let alone new knowledge or new science. And in terms of the consumption in the western world, the 1967 statement was doubtless drowned (diluted, perhaps?) by the regular churning out of brochures, pamphlets and books on race by UNESCO the purpose of which was the mainstreaming of antiracism as we might say today. I do have a question as well. Much like the students of the global colour line, whiteness scholar like to begin their interventions by distancing themselves from the intellectual and even social structures of their “obvious” disciplinary homes: “I don’t do IR” or “whiteness studies is a stillborn field.” I understand the role of this ritual (or this signaling strategy, an economist would say), but can such pronouncements build space for the science of the sufferers?